In the early morning on Tuesday, March 7, 2017, a group of people took to social networks, calling for a demonstration in front of the offices of the Rising for Freedom Magazine, protesting an article published in Issue 86 titled “Carry me, Dad” by Shawkat Garzeddin, containing offensive sentences and blasphemy. The estimated number of protestors was 70, and they initially gathered outside the magazine’s office. 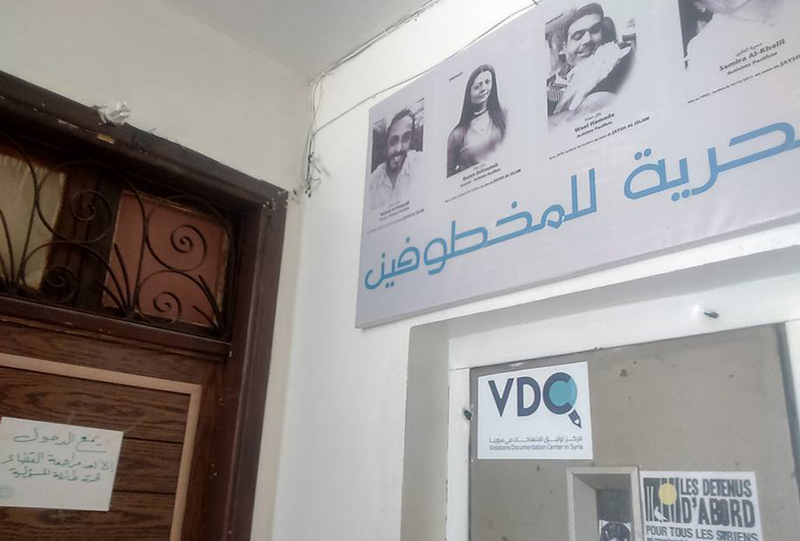 Other civil organizations are based here; they operate in Ghouta, in general, and Douma, in particular. When the protest developed into a direct threat of breaking into the offices, the police were contacted, but the police refused to intervene, claiming that “the police are unable to confront the street,” and they added, “we won’t be able to protect you or ourselves.” The police instead advised the employees to evacuate their offices. On the morning of March 8, 2017, a decision from the Prosecutor General in Douma was issued. It read: “All offices of the Rising for Freedom Magazine, Horras Network for Child Protection, and any affiliated organization or magazine will be closed until they face a judicial hearing.” The decision also instructed “to send a statement to the local administration in Douma to close the offices and seal them shut, and write a report” about the situation. The editorial board of Rising for Freedom responded quickly, admitting the article contained offensive content and that publishing it was negligent. The editorial board removed the article from the magazine’s website and stopped distribution of the printed issue. They also published a clarification and an apology to the readers and the Syrians. They assured readers that the article did not reflect the opinion of the magazine in any way, but the writer’s only.